The Inter-Mountain photos by Joan Ashley Board of Directors from left are, front row, Dr. J. 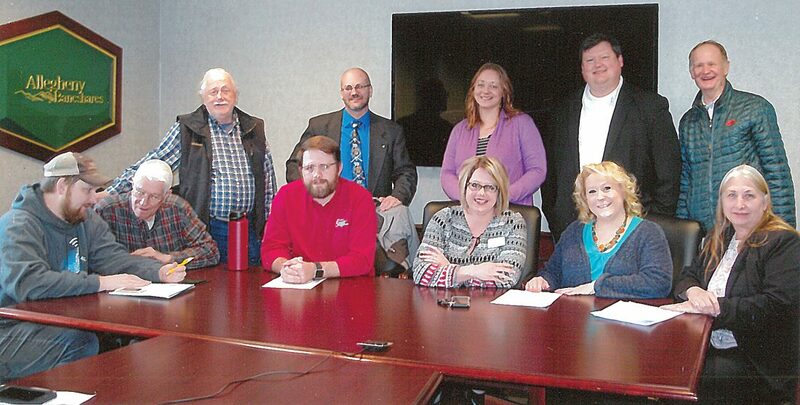 King Seegar, Mike Mallow, Nathaniel Phares, Jessica Basagic, Kristin Dingess and Kim Ruddle; second row, Hal Stickley, John Connor, Brianna Bruns, Jason Smith and Bob Davis. 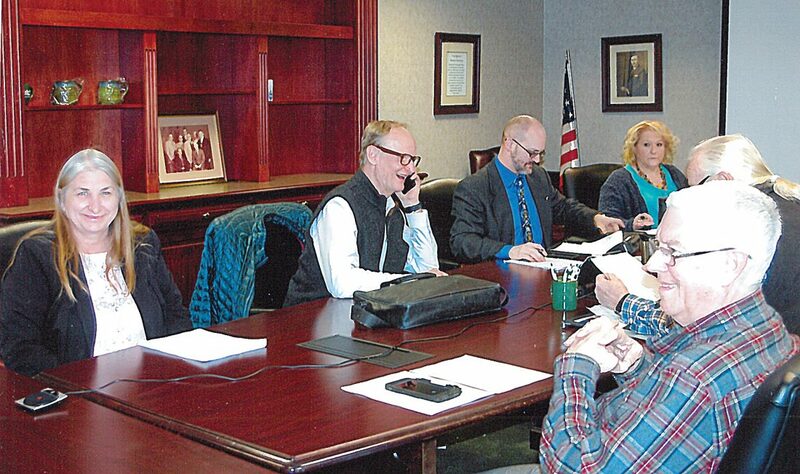 Board of Directors from left are Kim Ruddle, Bob Davis, John Connor, Kristin Dingess, Hal Stickley and Dr. J. King Seegar. FRANKLIN — Warner’s Drive-In Theater has been a center for courtship cuddles and family fun since 1952. The three story cinderblock building backed by a huge white painted screen facing acres of plateaued (banked) drive in parking spaces was built 2.5 miles north of Franklin by Charlie Warner and his son, Harold. The theater quickly became a staple of fun and activity for people of all ages who gathered “to socialize with their neighbors, eat at the popular snack bar and enjoy entertainment from the world beyond this small rural community,” said Bob Davis, who was responsible for consolidating ideas for a five-year development plan. “For many generations it provided one of the few opportunities for gathering and entertainment in and around this part of eastern West Virginia and the Potomac Highlands,” Davis added. 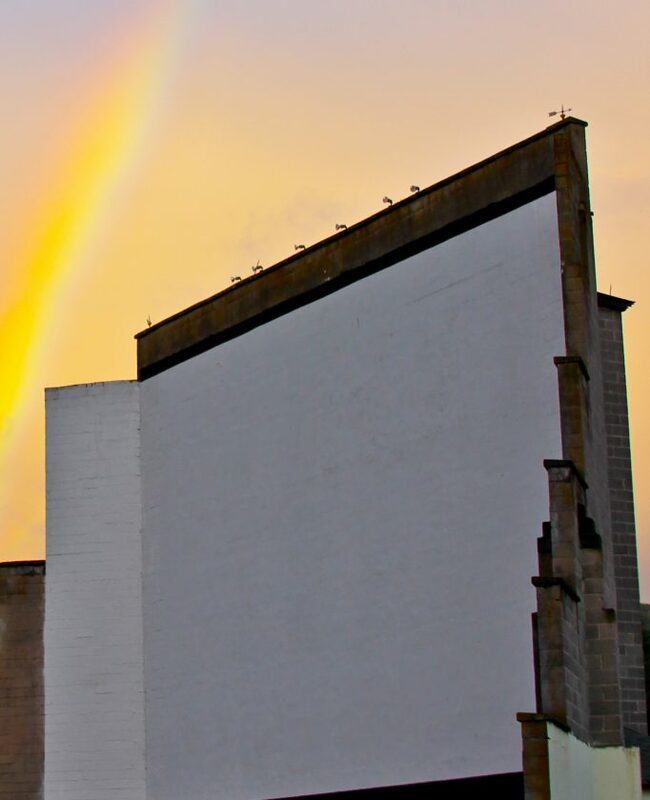 As a locally owned small business, the theater operated successfully from 1952 until 2014 when it had to close due to technical developments in film presentation that required an expensive new digital projector beyond the financial means of a small independent owner. Nationally, the number of more than 4,000 operating drive-ins was reduced to 368 during that period when individual isolating activities, such as the internet, smart phones and satellite TV were developed and enjoyed. The closing was a significant blow to a community that depended on this institution, not only for entertainment, but as a place for families and neighbors to gather and socialize, Davis said. But the community rallied and through letters to the editor, petitions and offers of money, a grassroots effort saved the historic building from the wrecking ball. In March of 2016, the Historic Warner’s Drive-In & Cultural Resources Center was formed as a non-profit to reopen and preserve the drive-in as a community center for entertainment, arts and education. “That was the key — without the projector, we were nowhere because we couldn’t get film anymore,” Davis said. “On Sept. 9, 2016, the center showed its first movie, ‘Finding Dory’ to a packed drive-in crowd,” Davis added. The board was able to obtain a USDA loan to purchase the property last year and is currently renovating the old buildings built in 1952. “This is the year of taking care of really big improvements. …Getting good roofs, especially over the projection room, is a priority to protect our big investment. Our screen is a building, very distinctive — but, has a roof that also needs replacement. So both buildings have leaks that we have to take care of right now. Our five-year plan has had to be put on hold while we handle the necessities,” Davis said. • Hosting the West Virginia film festival. • An open-sided pavilion with fireplace to be used for dining, movie viewing and extension of the drive-in season and protection during inclement weather. “The drive-in is all about film and video — we would love to get with the school system to let kids tell their stories through video. There is such diversity in kids lives, their stories of hope and struggle told through a kids perspective. We could use the screen as a tool for a kids creativity. We also have wall space outside of the building where we hope to have some kid’s murals in place. “It might take more than five years, but the community really values what we do. Having that support is really important to us.” Davis added. This year’s fundraiser is the raffling of a 2019 Ford Fiesta. Tickets are available from any board member, at the theater or on www.warnersdriveinwv.org.